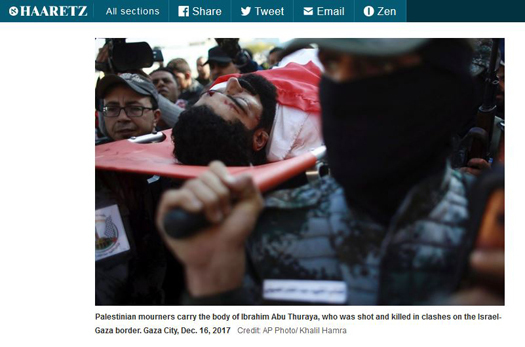 CAMERA’s Israel office this week prompted corrections of numerous captions regarding Gaza double amputee Ibrahim Abu Thuraya, who was killed during a border clash earlier this month. 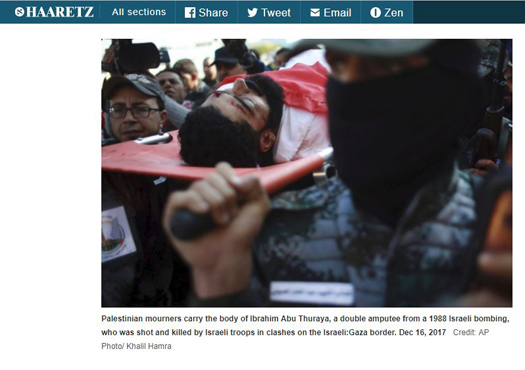 Wire services Associated Press and Deutsche Presse-Agentur (DPA), as well as the English-language edition of Haaretz, all corrected. The aforementioned AP television footage is available here.